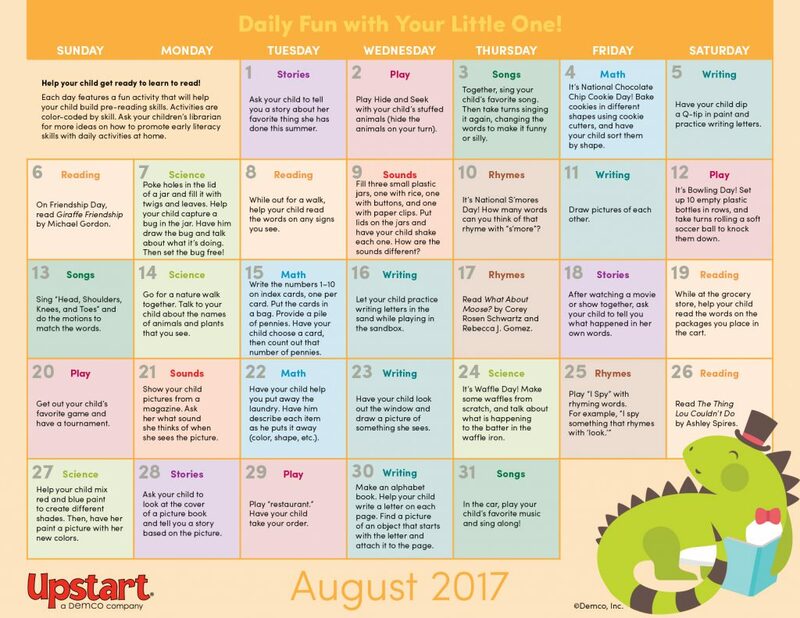 As summer comes to a close, help parents keep their little ones learning every day with simple early literacy activities they can do together at home. Parents and kids can celebrate fun holidays like Friendship Day and S’mores Day, as well as play unique games, read engaging books, make delicious snacks, practice simple math and much more! 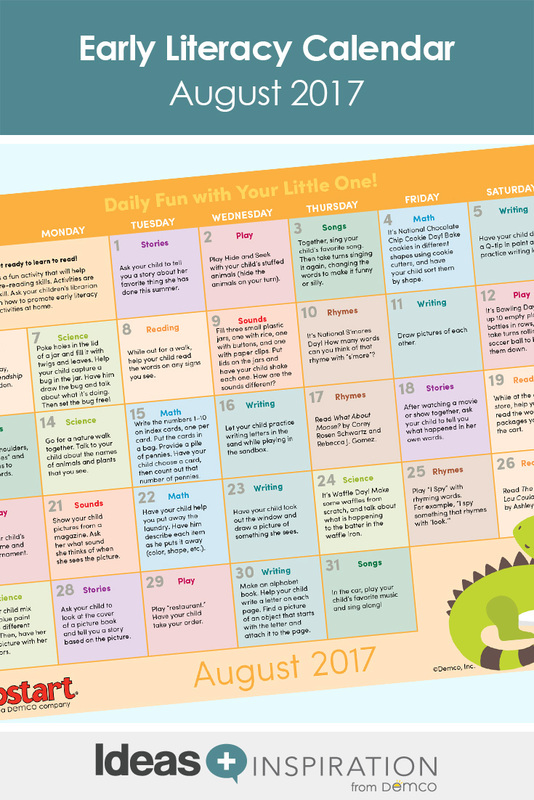 Download the August Daily Fun With Your Little One calendar.